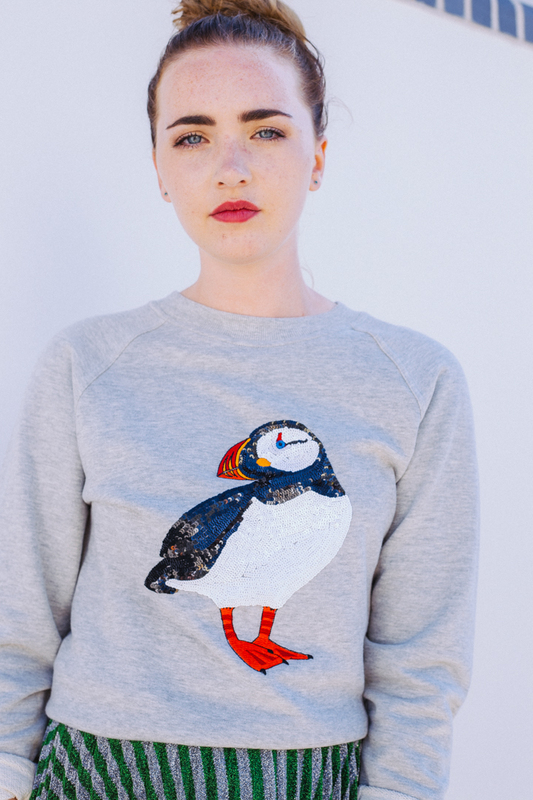 Brighten up your weekend wardrobe with Uzma Bozai’s seriously cute puffin sweatshirt. 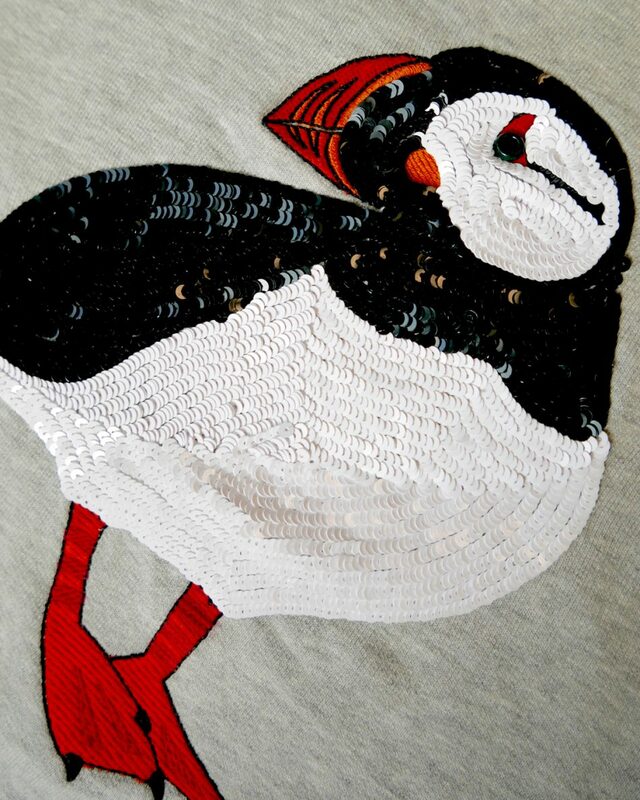 Our soft 100% cotton classic crew neck is brought to life with a puffin embellishment everyone will love. 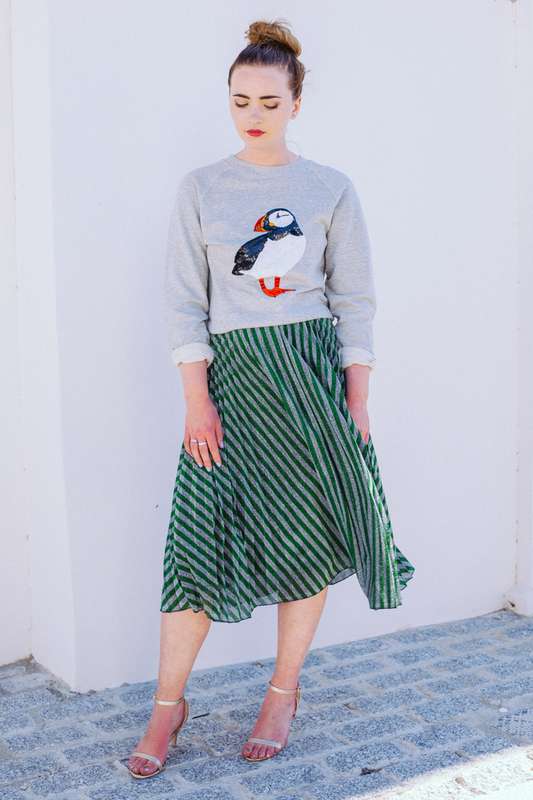 Dress down in denim or up with a statement skirt.